The scandals within the Catholic Church in the past months have had the effect of a neutron bomb. The buildings remain, but life within the Church has been irradiated. Priests continue to say Mass, and a remnant of the faithful still attend, but we are the walking dead. Acts of faith in the past month have had a lifeless, dream-like quality, like going through the motions of day-to-day living after discovering your spouse has been leading an unfaithful, filthy double life. And like marital betrayal, the crisis in the Church is not merely disillusionment with the other. The priesthood is not merely a group of service providers or waiters dispensing sacraments. When saying the words of consecration, the priest is in persona Christi. The priest is transformed in ordination, “made a priest forever, according to the Order of Melchizedek.” Many have said our faith is not in priests, bishops, or even the pope, but this is not quite true. Others have said we must separate the office from the man, but why then did Christ choose men rather than angels? The whole point of a priesthood is the exaltation of human nature in the priest-exemplar. There is a uniting of the office and the man. Catholics must accept that the crisis in the Church is a faith crisis. We have been forsaken by God. The foundations of our worldview have been broken. Estrangement from the filthy Church is also estrangement from her architecture of meaning. The first response to psychic death is denial. When that doesn’t work, when the facts can’t be suppressed, we attempt to minimize. But the proportions of the crisis are inescapable. Illinois, Nebraska, New Mexico, Missouri, New Jersey, and New York have all launched their own versions of the grand jury investigation conducted in Pennsylvania, and other states are sure to follow. There is the possibility of the RICO Act being used by the federal government to investigate the Church as an organized crime syndicate. Similar investigations will be initiated everywhere. There is little reason to think the filth was limited to the Pittsburgh diocese (or the Archdiocese of Boston). The bricks and mortar of The Church may soon be bankrupt and in receivership. For far too long we have been prosperous and respectable. The Mass too often has been all celebration with no sense of sacrifice. We glad-hand and smile as we stand before the Body of Christ, given to us by Christ the night before his crucifixion, and through his priests, today and every day. We have been an Easter-dinner people, overfed and sleepy. Today we are betrayed and broken-hearted. Tomorrow we will be despised and outlawed. But through perseverance in trials, our faith will be redeemed. We will also be equipped to win the struggle against the massive slaughter of innocent children because we will be made into a polished arrow. 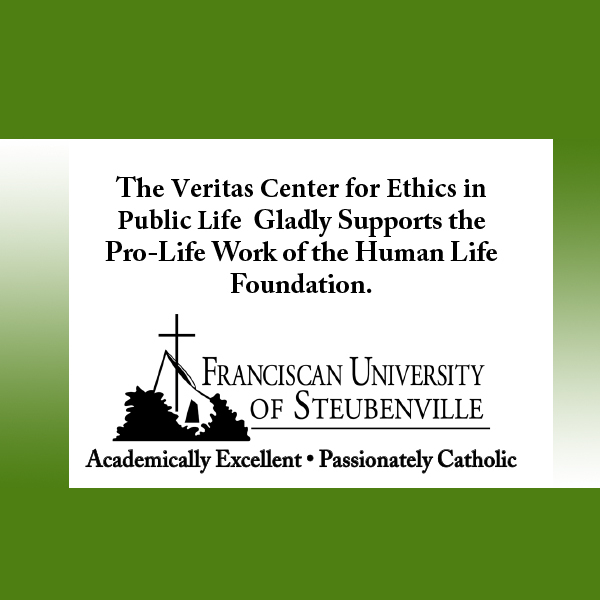 Since Roe v. Wade, the struggle against abortion has been a struggle rooted in the Catholic teachings on the dignity of every person, born or preborn, and the moral responsibility incumbent upon Catholics—and all people of good will—to defend the defenseless. Let’s call this “the goodness of creation” approach. But this focus has not worked. The culture of death has remained triumphant, and inevitably so. “The goodness of creation” is abstract, but the crisis of an unplanned pregnancy is up-close, personal, and emotional. A crisis pregnancy is not a topic for a philosophy seminar. Rightly or wrongly, the prolifers have been characterized as suburban, middle-class, arm-chair moralizers. The cultural equivalent of Easter Christians. But crisis pregnancies are in the wind-swept desolation of Golgotha. The persecution of the Church will force us back to Good Friday. This will give us a fresh authenticity and moral authority. These are important and efficacious political assets, but they are not the most important thing. The most important thing will be revealed in a re-discovery and an imitation of the precise reason for the Incarnation of God in Jesus Christ. Throughout the last 50 years, if you were to ask almost any Catholic, lay or clergy, why God became man in the Person of Jesus Christ, they would say He did so out of love for humanity. And they would be right. But they would not be precisely right. Jesus Christ took on humanity to redeem us from our sins. To pay our blood debt, through his death on the cross. Justice demands payment for sin. Redemption means payment. The pro-life movement will succeed when a penitent Church gives birth to a penitent pro-life movement, imitating Christ in making vicarious sacrifice. Fantastic Joe. Well done and very useful. Well worth the read.